Very nice and quiet. Good place to stay off of the regular tourist locations. Very clean and nice rooms. Lobby very basic .... if you want luxury, not this spot. And book knowing that hotel is attached to Oschner Hospital. It was better than expected. One the best Cleaning staffs that have seen. I couldn't access the fitness center and I didn't realize that I could go to the hospital cafeteria for food. Lastly, the rep at the desk during checkout was semi nasty when I asked her for a receipt. I wasn't aware that the Brent house does not provide a receipt upon check out and instead of explaining it to me the rep stated she couldn't give me one and to call the agency I booked through, in a very unprofessional tone. Nice property. Clean and quiet. A bit out of the way and not a lot of food and beverage options in the area. Good price for a very nice room! I’ll do it again! I was very suprised to find the room very large and very nice! Will definitely be back! Advertisement is not at all what was provided. Make sure you look at all reviews before booking, we wish we did. Hotel room was not clean. AC did not work properly. 2 queen size pillows on a king size bed. Great place to stay if you have family in Oschner Hospital. Nice clean hotel but is too from the French Quarter. In a hospital. This should be clear in hotel listing. 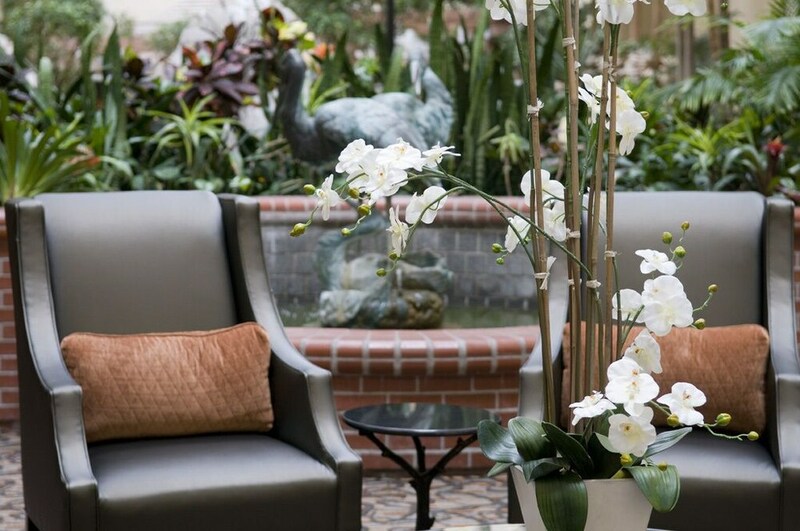 Located 3.1 mi (4.9 km) from Audubon Zoo, Brent House Hotel is within a 15-minute drive of other popular attractions like Mercedes-Benz Superdome. This 3.5-star hotel welcomes guests with 134 rooms and conveniences like an outdoor pool, a 24-hour fitness center, and free in-room WiFi. Enjoy a leisurely bite to eat at Bistro 42, the hotel's onsite restaurant. Get a pick-me-up at the coffee shop/café. For your convenience, breakfast is available for a fee. Guests can expect to find free WiFi and 40-inch a flat-screen TV with satellite channels and pay movies. Other standard amenities include a microwave, a coffee maker, and a hair dryer. At Brent House Hotel, guests enjoy features like an outdoor pool, a 24-hour fitness center, and a spa tub. Free parking is included with your stay. The 24-hour front desk has multilingual staff ready to help with tours or tickets, and answer any questions about the area. Additional amenities include free WiFi in public areas, a conference center, and a business center. Bistro 42 - Restaurant specializing in American cuisine and serving breakfast and lunch. The preferred airport is New Orleans, LA (MSY-Louis Armstrong New Orleans Intl. ): 21-min drive, 12.2 mi/19.7 km.